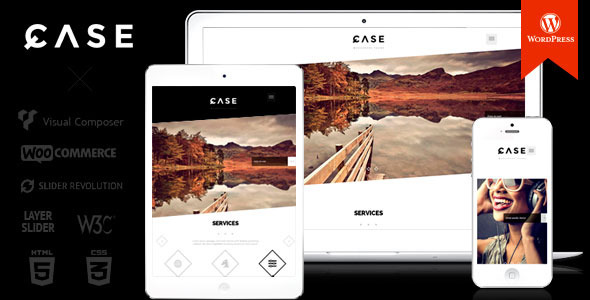 CASE – stylish and elegant theme. Approach both corporate websites, and for photographers, designers, developers, agencies and many others. The theme has two Builder, and the second one its own popular Visual Composer. Now you can easily create any site and any page. At You have the three powerful and stylish slider. And a lot of nice things waiting for you after the purchase of this theme!